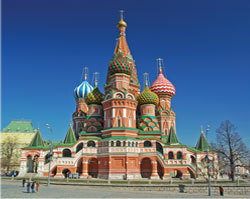 The world’s largest country by size and currently the eighth largest economy, BRIC Russia is predicted to become Europe’s largest consumer market by 2020. With strong transport and logistics networks as well as a young and urbanised workforce, Russia is an attractive market for Irish businesses. Promising sectors include pharmaceuticals, energy efficient manufacturing technologies and equipment as well as projects related to the 2018 FIFA World Cup. Russia is the eleventh largest global market for Irish companies and more than 100 Irish companies are already doing business with Russia. Note that DHL Russia requires shippers to be pre-approved for Business to Consumer shipments.